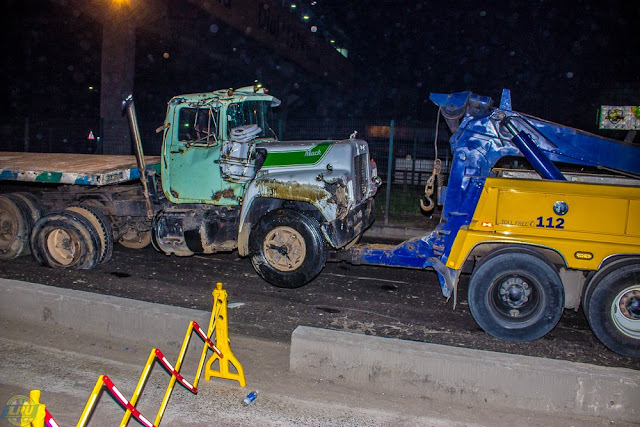 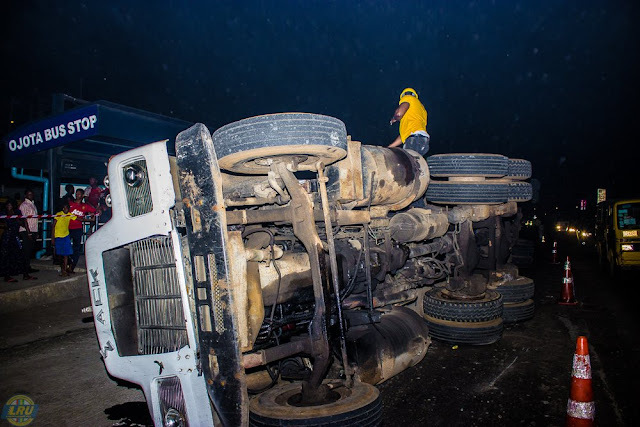 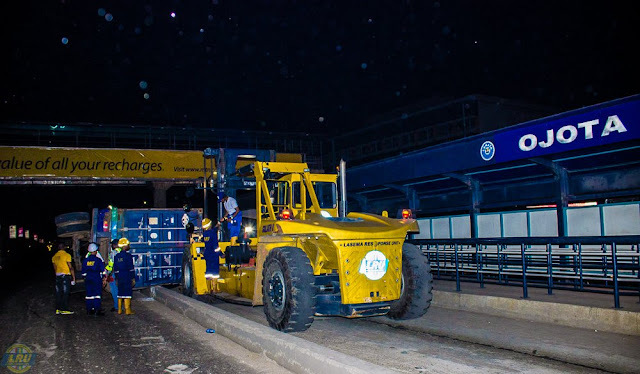 Truck falls off Ojota Bridge, Lagos - AutoReportNG "AutoReportNG-The No 1 Car Blog In Nigeria That You Can Trust - AutoReportNG"
The Lagos State Emergency Agency has swung into action following an accident that happened at the Ojota area of Lagos state. A container was said to have fallen from the bridge which caused lots of traffic jam for the motorists. 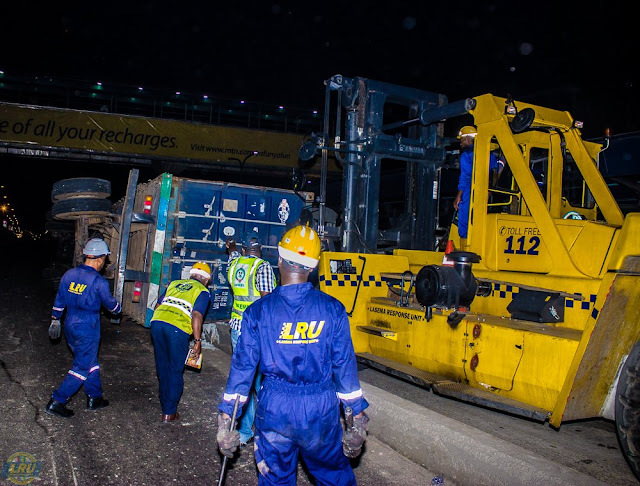 LRU was on ground to toll off the truck to a safer place. See more pictures below.